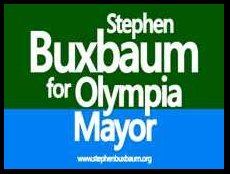 Stephen Buxbaum was elected Mayor of Olympia in November 2011 carrying 60 percent of the popular vote. His term ends December 31, 2015. Mayor Buxbaum has an ambitious agenda for his last year in office. "I am excited about what's ahead in 2015 and am looking forward to continuing to advocate for the interests of our city and region without having the extra work of running a re-election campaign." Strong budget experience. He's been responsible for both operating budgets and capital budgets three times larger than Olympia's. Extensive management experience. He spent more than 30 years working with cities and counties on community and economic development. Housing and homelessness experience. 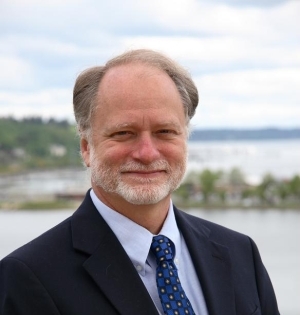 He has helped Washington communities build thousands of affordable homes and chaired the Governor's Interagency Council on Homelessness. Emergency management experience. He coordinated housing assistance in response to six presidentially-declared disasters. Leadership experience for tough times.